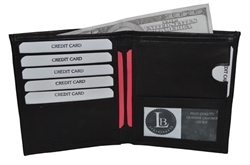 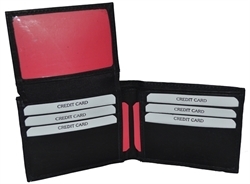 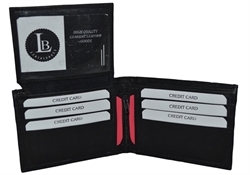 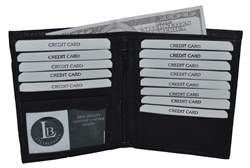 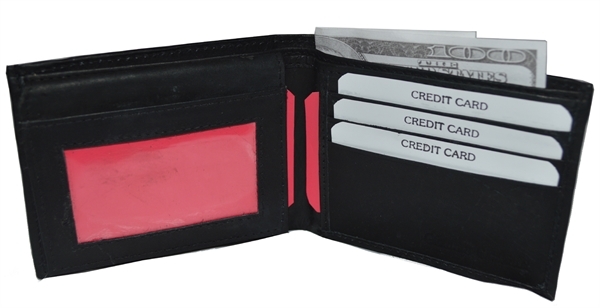 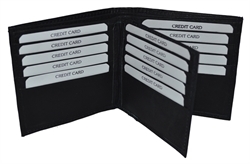 Made of genuine high quality leather, this wallet has 6 creditcard slots and a pull up flap which has 2 clear plastic windows for your driver license, ID, etc. It has 3 full sized money pockets in the back, one of which is covered by a flap to make it a secret pocket. 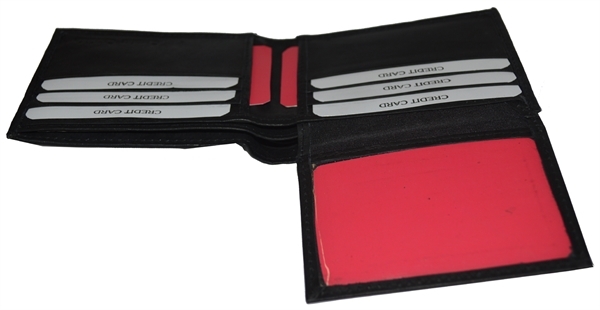 It is 4.1/4 inches x 3.1/4 inches when closed.